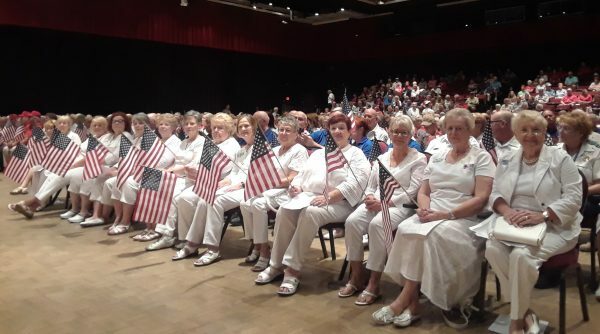 Decked in white and carrying American flags, The Daughters of the American Revolution paid a solemn tribute to fallen veteranss from the front row at the “Tribute to our Deceased Veterans” on Memorial Day at the Kings Point Veterans Theater. “This nation will remain the home of the free as long it is the home of the brave,” said Michael Scionti, quoting World War II journalist Elmer Davis. A federal judge and U.S. Army combat veteran, Scionti also oversees a special Hillsborough County court for veterans facing criminal charges. 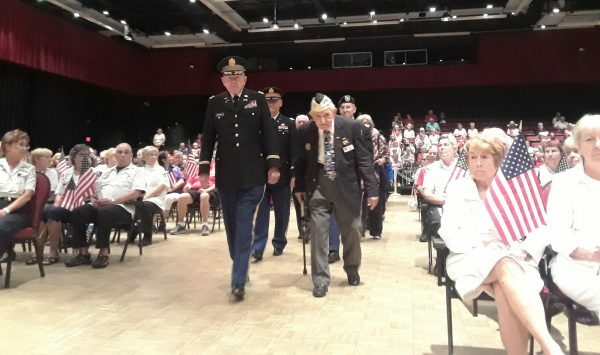 A packed Kings Point Veterans Theater celebrated the lives and contributions of veterans Monday in a ceremony filled with pageantry and praise for those who made the ultimate sacrifice. Veteran and Pearl Harbor survivor Ed Socha, grand marshal for the ceremony, drew some of the loudest applause of the morning as he raised himself slowly from his chair on the stage, leaning on a cane and waving to the audience of more than 1,000 that included political, military and civic leaders. 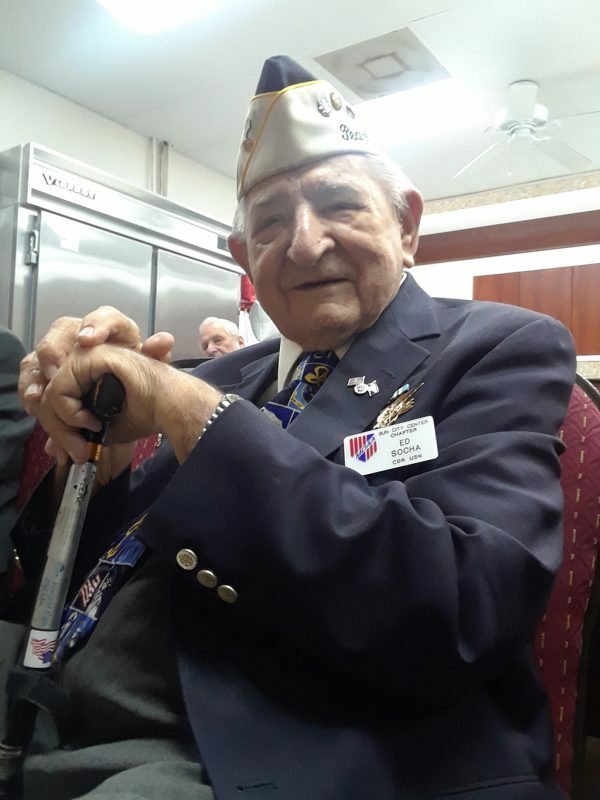 “I was on the USS Oklahoma waiting for a ride to church when the first plane hit,” said Socha, who chatted with other vets in an anteroom moments before he led a line of uniformed veterans through the theater to the stage. “It’s a story we have to tell,” said the retired U.S. Navy commander who would have another brush with history. He was an advisor to the U.S. Joint Chiefs on the day President John Kennedy was assassinated. Judith Clapp turned out for the ceremony to honor men and women like Socha. “I don’t think veterans got enough recognition when they were doing what they did, and they have given up so much,” said Clapp, a SCC resident and 13-year member of the U.S. Coast Guard Auxiliary. 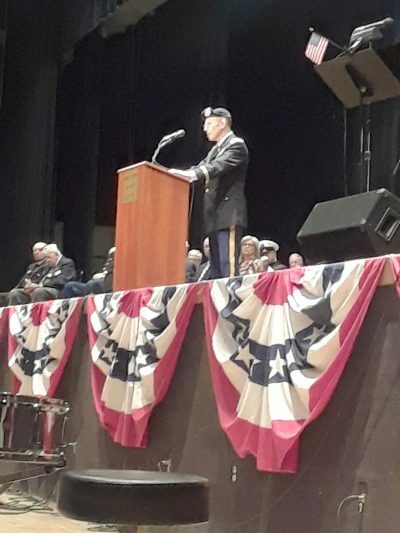 Quoting the Gospel of John, Pastor Harry Benter said the day was about honoring those who gave their lives that others may live. 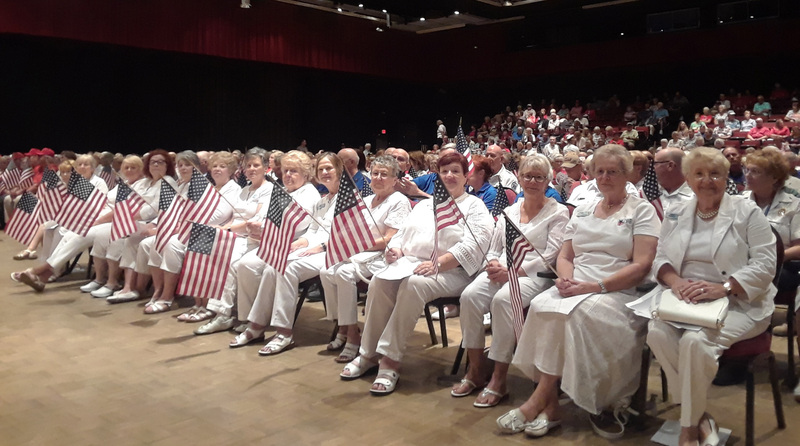 The Veterans Theater is also hosting “An All-American Patriotic Concert” featuring the Eastern Hillsborough Community Band at 7 p.m. on June 28. Tickets are $10. Retired U.S. Navy Cmdr. Ed Socha, 96, was grand marshal for the annual Memorial Day tribute to fallen veterans held at Kings Point on Monday, May 28. Ed Socha is one of the few survivors of Pearl Harbor still alive. Federal officials estimated there were around 2,000 survivors in 2014, the last estimate, but that number has likely dwindled to the hundreds.